Here is the second QOV from the Polka Dots and Paisleys jelly rolls. I’m going to miss that lovely wall for taking photos! It is actually hanging sideways here. I got some of my carefully planned rows mixed up. But finished is better than perfect! Yesterday was another couch day. I sure hope to get some quilting done this weekend. I love it! 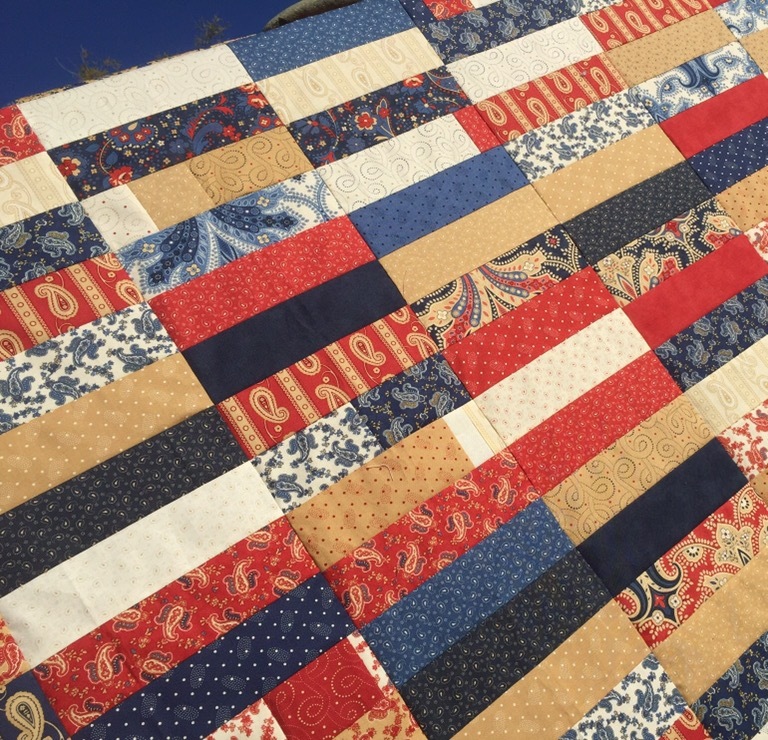 I think the 2nd or 3rd quilt (maybe 4th) quilt I ever made was a coin quilt – and it’s still one of my favorites! 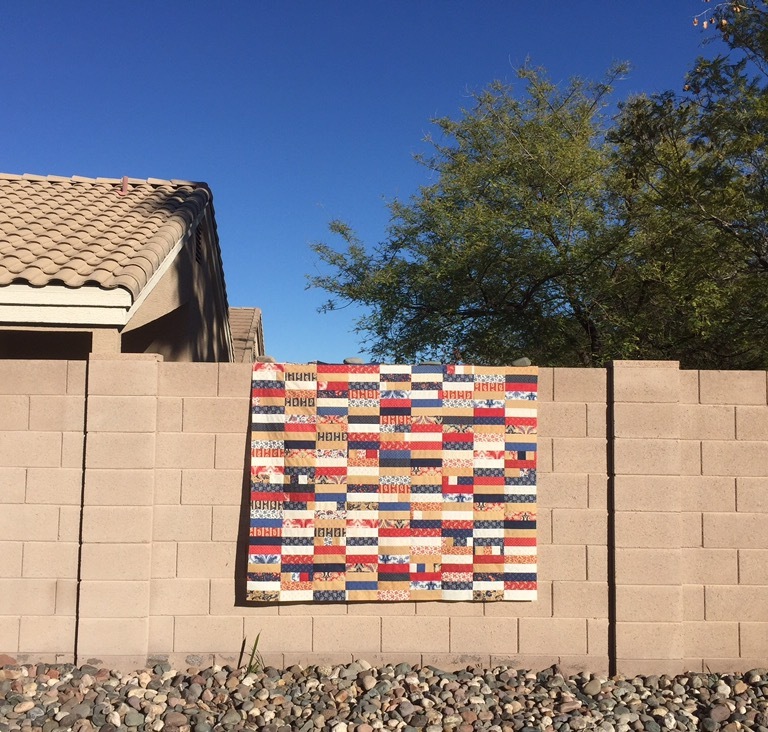 That wall is perfect; I wish I had something similar near me to hang quilts from. Very cool – lovely colours. Lovely flimsy finish! Thanks for linking up with TGIFF! Great finish, Katy! Love the colors! Rest is sometimes the best medicine, so I hope your couch time will speed you on your way to feeling much better, soon! Love that quilt. I hope you up and at ’em soon! 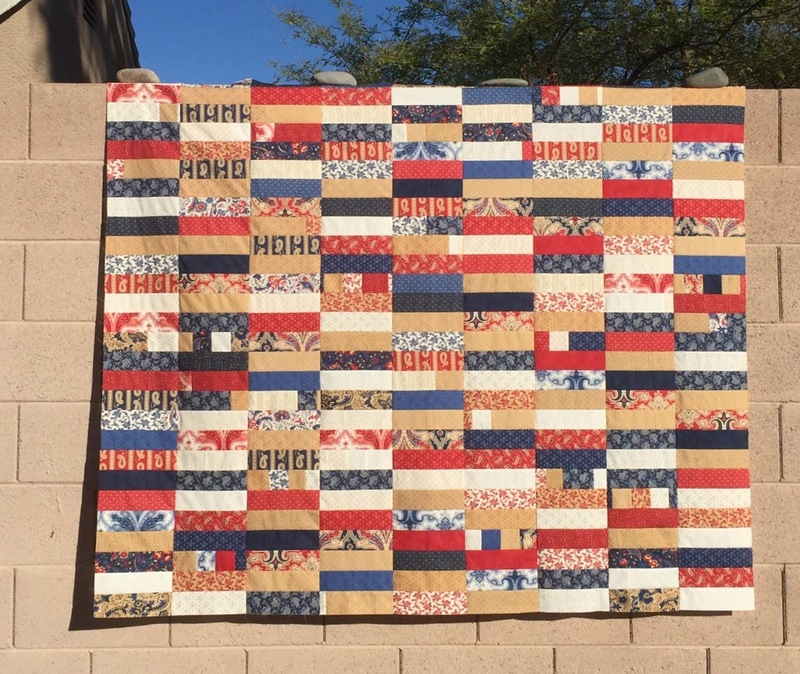 Another pretty quilt. Hope you’re soon up and running again. I’ve just gotten over a cold/flu bug that rewarded me with a trip to the dentist (sinus issues). Not fun. So get well soon, there’s quilting fun waiting for you! Lovely colours, and if you got your rows mixed up it certainly doesn’t show. It is a lovely wall and your pics are so clear and bright too. Very pretty – I like your choices to mix colors and patterns!